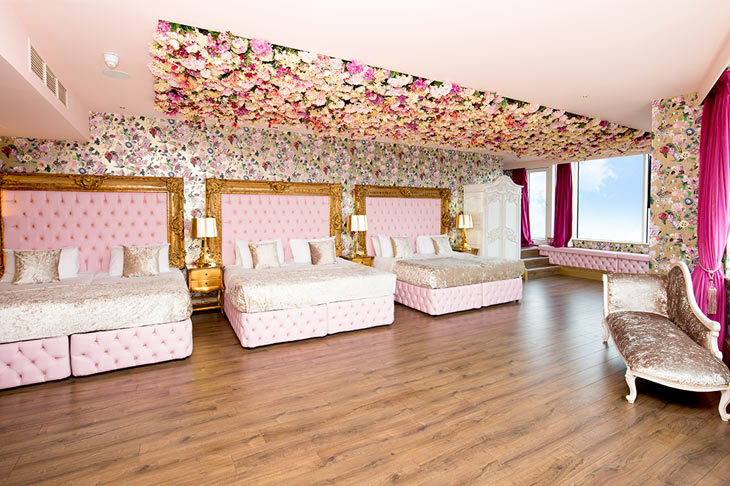 You’ll know what heaven looks like as soon as you set foot in the Garden of Eden suite. 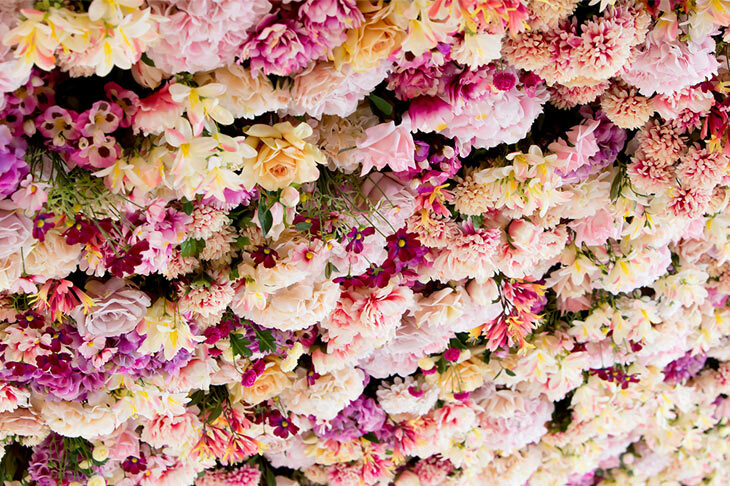 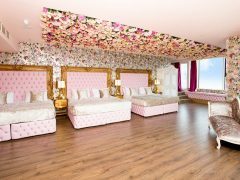 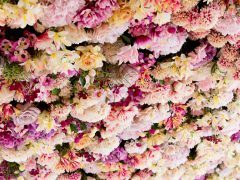 Walking into one of the most blissful hotel rooms in Liverpool will leave guests awestruck by the striking Joseph Massie flower ceiling made up of 2,500 individual flowers. 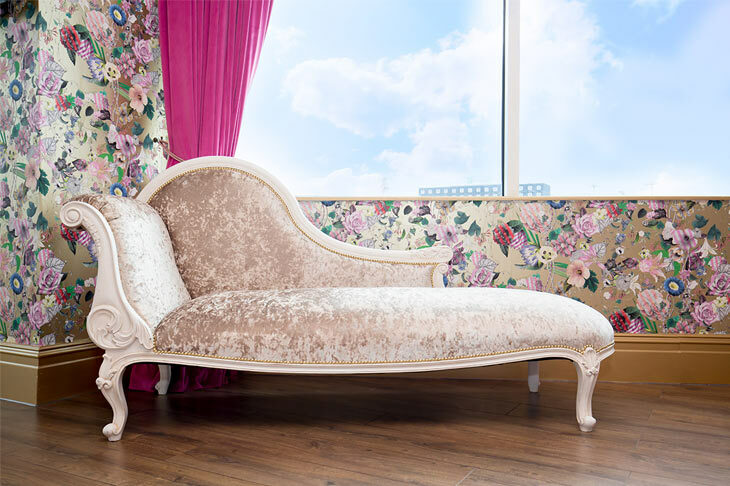 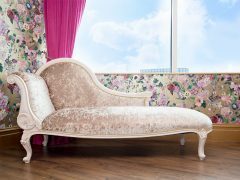 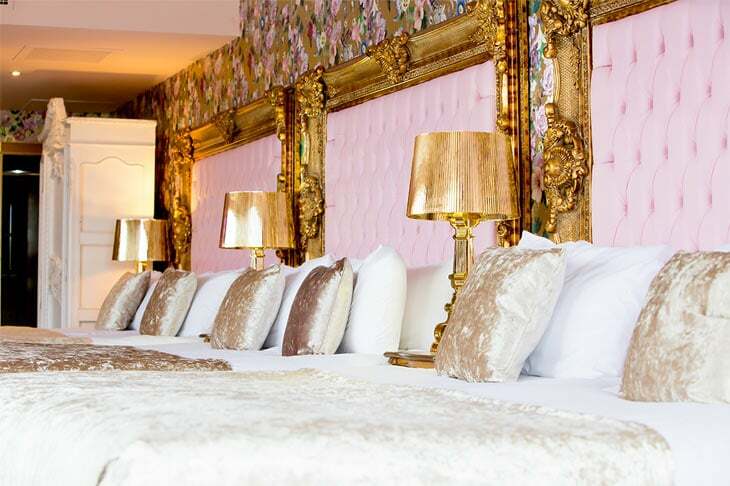 Enter a heavenly space located in the heart of Liverpool city centre in the Garden of Eden suite. 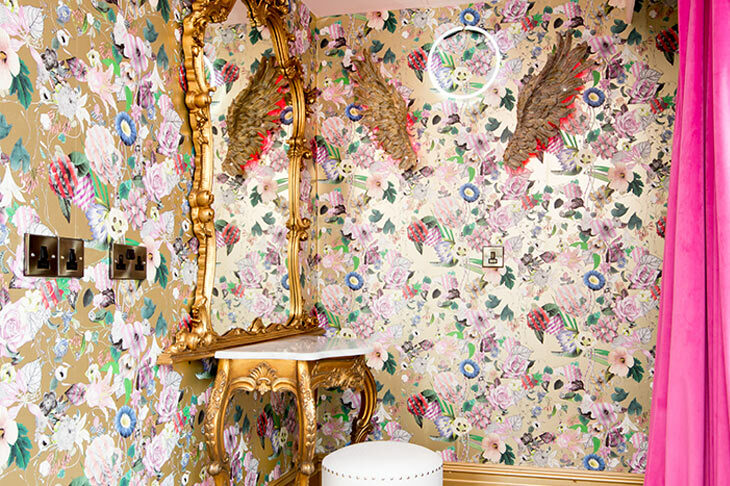 This picture-perfect paradise has a wondrously creative décor that will take your breath away. 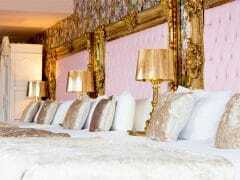 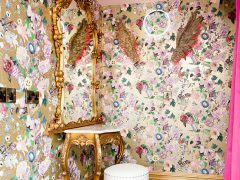 The walls themselves have been dressed by none other than French fashion designer Christian Lacroix and the rest of the suite has been accessorised with opulent golden nightstands and vanities. 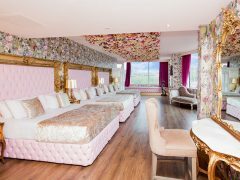 Sleeping up to 6 guests in pure comfort and luxury the Garden of Eden suite has three large double beds as well as chic ensuite facilities and a relaxing double whirlpool bath. 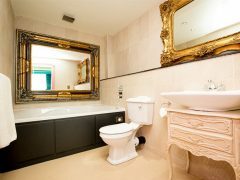 Every comfort has been provided including a well-equipped kitchenette, double whirlpool bath and amazing ensuite bathroom. 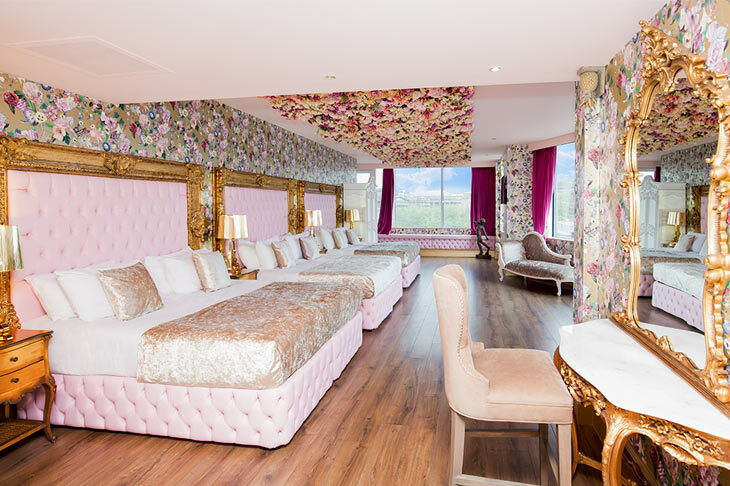 Located within the Shankly Hotel, the Garden of Eden suite gives guests access to all the fabulous onsite facilities including The Bastion Bar & Restaurant, The Shankly Museum and underground city centre parking. 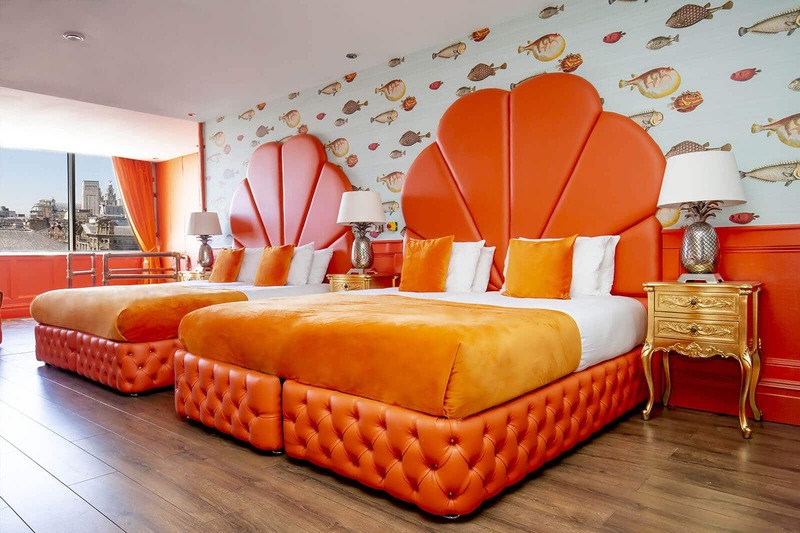 At the heart of Liverpool city centre, The Shankly Hotel makes it easy for guests to see all the best bits of the city. 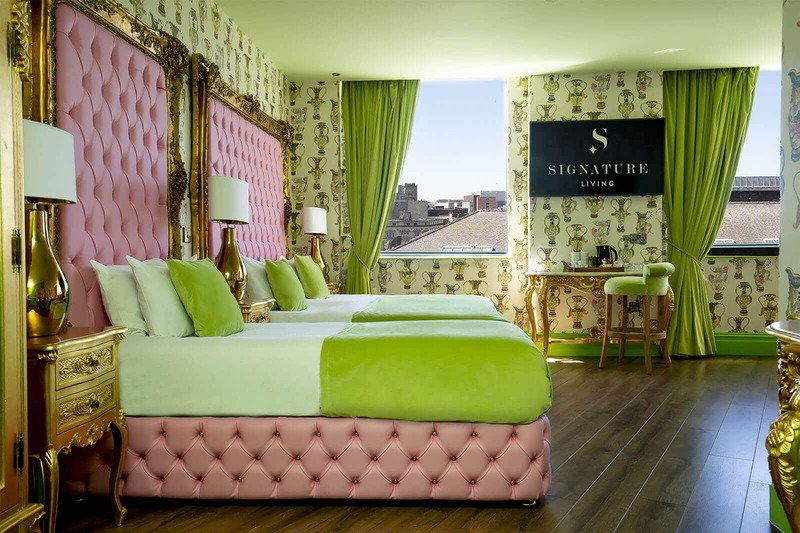 The famed nightlife of Liverpool is nearby, top shopping districts are a stone’s throw from the hotel and the iconic city landmarks are within easy walking distance. 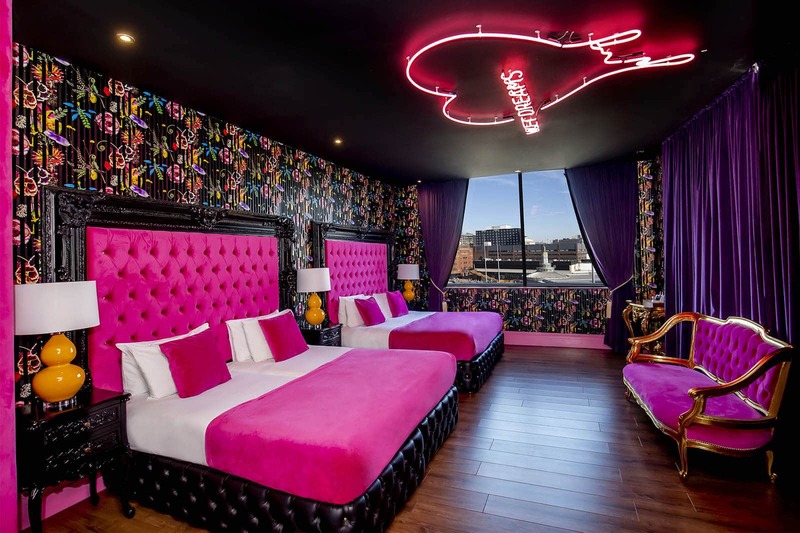 Liverpool’s main train station, Lime Street, is less than a 5-minute walk from The Shankly Hotel and for those arriving into Liverpool by plane, Liverpool John Lennon International Airport is just a 30-minute drive away. 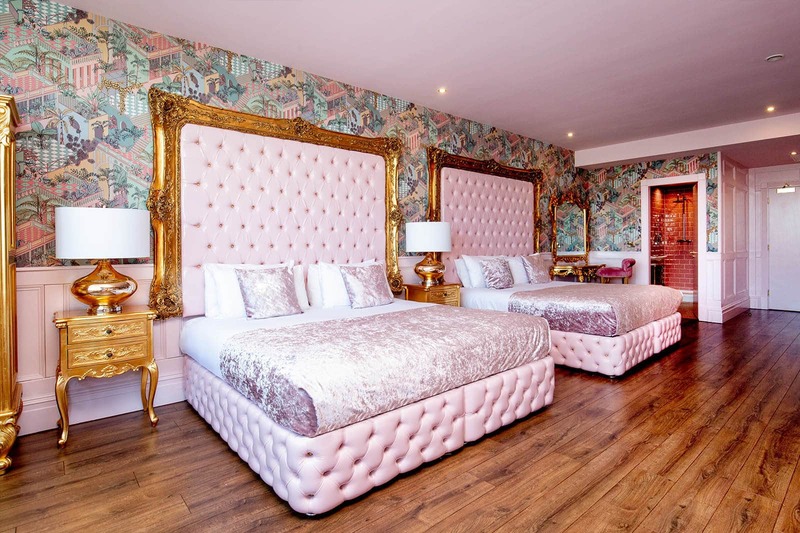 Staying in the Garden of Eden suite will ensure that you’re never too far from all of the action meaning you can explore all Liverpool has to offer without spending too much time travelling. 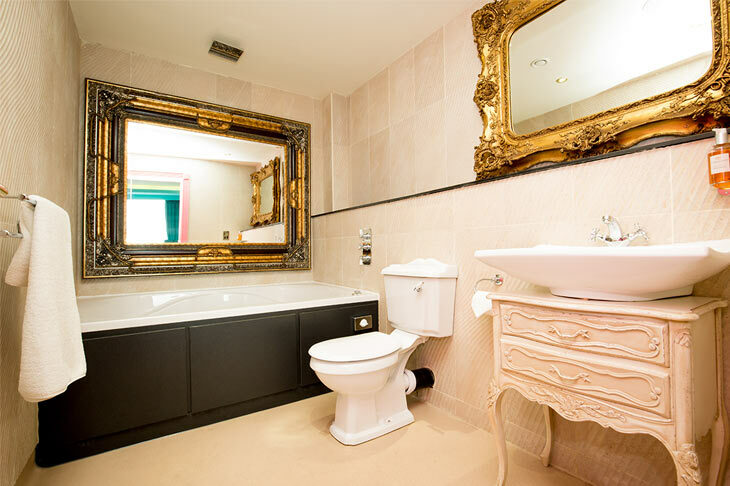 As the Garden of Eden suite is located in the heart of the city centre, getting to your perfect apartment couldn’t be easier.